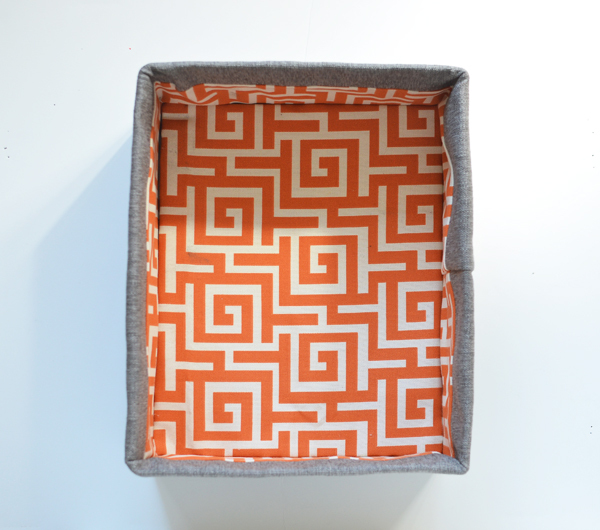 ' One Room Challenge Week 2: Painting and Fabric Storage Bins - Sisters, What! 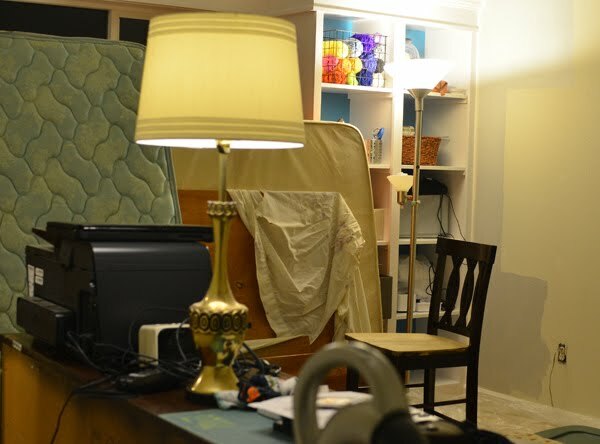 It's week 2 of the one room challenge (see my post from week 1)and we finally picked out a paint color. Lets talk paint. 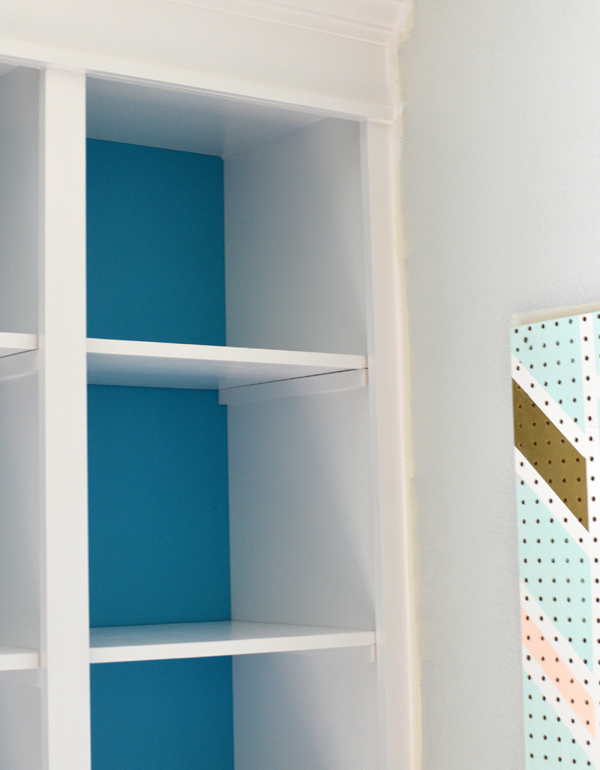 I love seeing a room transform with the right color of paint. But...I personally, strongly, dislike picking out the color. I learned quickly that the color on a paint sample is not the same color that will appear on the wall. Trust me, the high from picking out the paint color of your dream, is a quick let down when it's not the color you expected. However, we learned that paint samples are key. Seriously. It's annoying to spend $3 only paint samples (it adds up quickly) but totally worth it. Better than painting a whole and find out it's not the shade or color you were expecting. 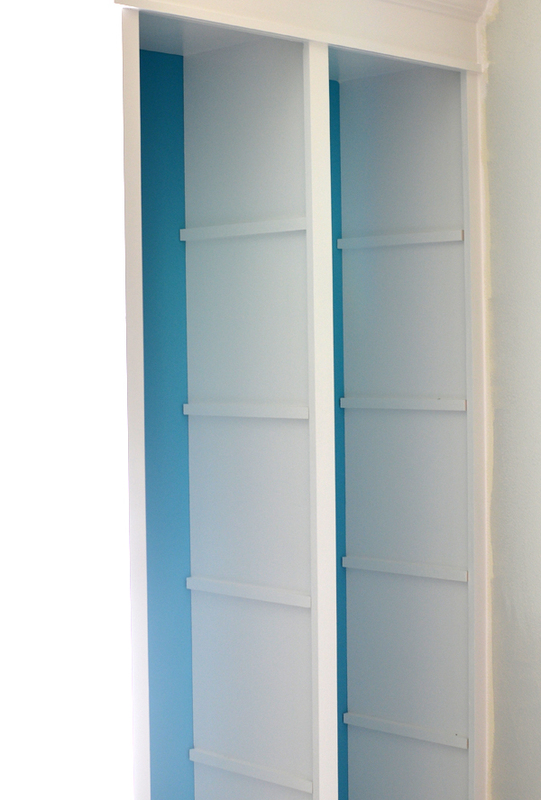 As you can see by our built in shelves, we painted the back of the shelves this lovely blue. We wanted a good neutral color that wouldn't clash with it, so we decided to go with a very light gray. However, even if you want gray, you can't expect to find just gray, there are TONS of different shades and hues of gray. Long story short, one week later and 4 different paint samples, we found the perfect gray for our room. 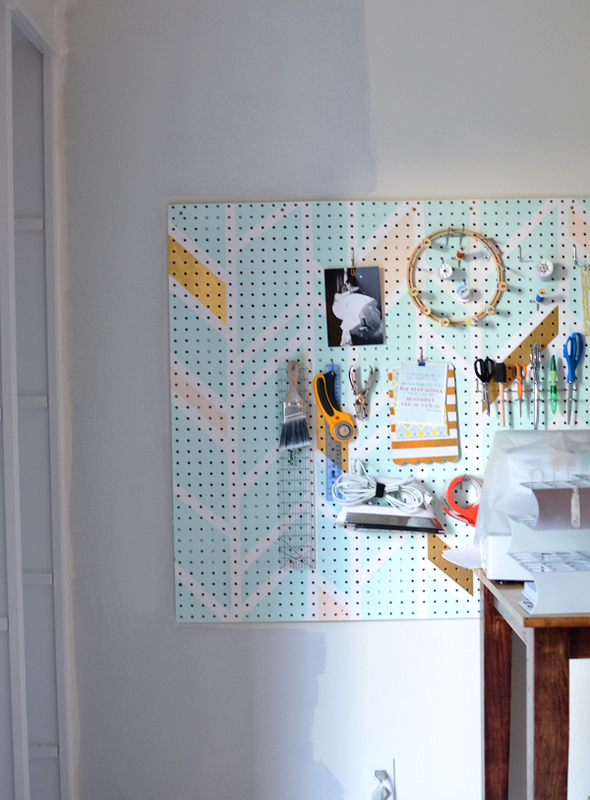 As I write this post, half of the room is finished. I'm just taking a quick breather. As you can see below, our room is in utter chaos. Here is a little sneak peak of the shelves. I'm so excited that they're finally done. Now I just need to organize and put all of my stuff on it. Which I've realized is no easy task. Before, I just used whatever container I had and crammed as much stuff on to my metal shelf (see previous post), but now these shelves are SO much nicer and much more room. 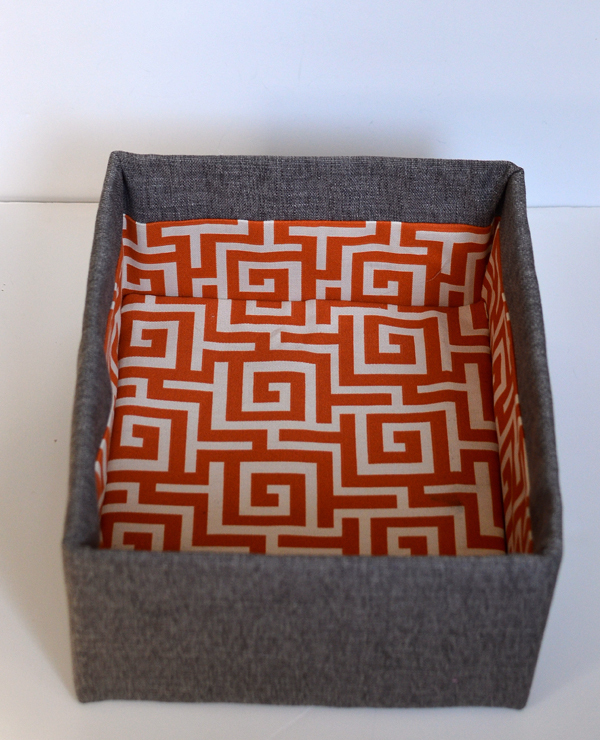 I wanted some fabric storage bins, but ugh those get pricey and I need a lot of them, so I made a trip to Joanns and scored some really nice home decor fabric in the clearance section. I got quite a bit for less than $10. I also had tons of home decor fabric at home, so with all that fabric I preceded to make my own for the fraction of the price of buying them. I used cardboard boxes and figured out the best method and was able to make one box in 30 minutes. I love how they turned out and have already made 7 different sizes. Here is just one of them. I'll be sharing a tutorial some time soon in the future. 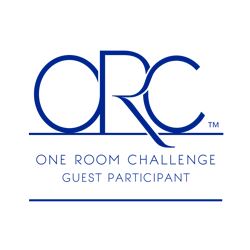 Stay tuned for next week and make sure to check out the other One Room Challenge Guest Participants.